We're continuing our tour across the United States to bring the best and brightest Christmas attractions to you. Picking up in Mississippi, we'll weave our way around the Eastern half of the US, stopping at some amazing holiday lights and sights, until we make it to Florida. We hope each stop fills you with joy and inspiration this holiday season! 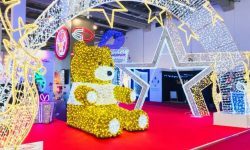 This fantastic display includes more than 200 inflatable attractions, hundreds of lighted wireframe images and messages, a 23-foot animated tree, and over 100,000 glowing LED lights. It’s a true whimsical holiday wonderland! Located at 219 Sundial Road in Madison, Mississippi. 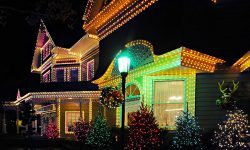 Jellystone Park presents a dazzling show of over one and a half million lights dancing to the music on the radio! 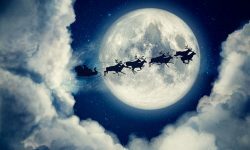 Tune in and drive through the whole interactive experience to be filled with joy and holiday cheer. 30 minutes, 17 miles, and 3,000,000 lights! These facts are impressive enough to make this light show spectacular, but it has another extra special quality. Lights UNDER Louisville means exactly what it says, this light display is in an underground cavern. It’s definitely one to visit, as it is the only display of its kind. But if you can’t, we have a great 360 video for you right here so you take it all in! Located at 1841 Taylor Avenue, Louisville, KY 40213. Get a little wild at the Detroit Zoo with their fun holiday light display. Animal themes, wrapped trees, and lovely lit habitats are a unique sight for the season. 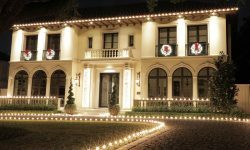 Another attraction you can view from the comfort of your car, or even better, right here on your virtual Christmas light tour! The 1,000,000 twinkling lights of We Care Park are sure to dazzle and inspire you! The Cincinnati Zoo & Botanical Garden transforms into a glimmering light show and adventure during the holidays. A huge LED Christmas tree with lights set to music is one of the most magical displays. All across the zoo and garden, lights dance to exciting Christmas tunes that will put a pep in your holiday step. With nearly every building, fence, and tree wrapped or lined with rope lights, Overly's is truly a beautiful Christmas village of light! You can stop by the sweets shop, pick up cookies, see live animals, and even ride rides in this glowing little town. It all started with one man going above and beyond with his home Christmas lights, but his display grew so popular that it had to move to the Westmorland County Fairgrounds. Located at 116 Blue Ribbon Lane, Greensburg, PA 15601. Hear the story of its start and take a tour! Kevin Lynch, along with his wife and three children live in this real-life Christmas house in Queens. Kevin has a motto, he says, "I do lights, I don't do drugs." What started as a spirited competition with his neighbor, blossomed into this whimsical, wonderful, downright magical holiday light display. And hey, it only took him 17 years to make it this awesome. Check out the details of these amazing decorations and the huge crowd they draw in each year! With over 500,000 energy efficient LED lights covering its trees, plants, buildings and more, Coastal Maine Botanical Gardens emit a glow you cannot miss during the holiday season! Christmas trees made of lights, trees wrapped in lights, light covered arbors, trellises, and glowing walkways cover the whole garden and transform it into a holiday wonderland. Alright, this next Christmas destination is a little different. Some may even say a little creepy, but that's not our point. We just mean that it isn't a "Christmas lights" display, but it is a Christmas display and it's so interesting that we had to mention it. The original village was a big attraction in the 60s at the Jordan Mash store. It closed in the 70s but was rescued and restored by Jordan's Furniture. It's a full, just a little smaller than life-size, holiday village. Scenes range from the cobbler shop on a wintery day to the inside of a family's dining room during the holiday season. You can see tons of sentimental holiday set-ups, which are all complete with moving doll-like characters. It's really quite a sight and we are into the dedication to Christmas. But if, say, the movie Chucky really freaked you out or you feel uncomfortable around porcelain dolls, we'd skip this one if we were you. Frank Picozzi, aside from being a man with a great last name, is one of those awesome neighbors who brings enough Christmas cheer to the block to cover everyone. In fact, he's one of those neighbors that don't just have a light display you cant possibly beat, its one of the displays that dances! Located at 75 Gristmill Road, Warwick, Rhode Island, Rhode Islanders flock from all around to see franks display light up to their favorite Christmas jams. Check it out! 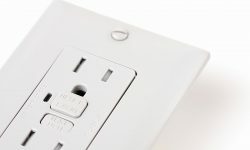 If Rhode Island's stop didn't make you want to up your light game, Connecticut's will. 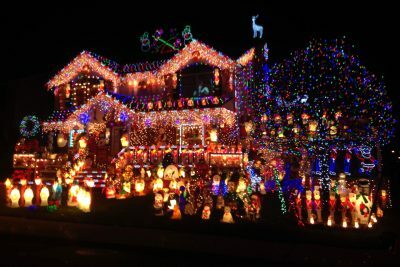 Located at 8 Pratt Road, Dayville, Connecticut, Dan Amarante has gone above an beyond being the neighbor with nice lights to a man with such a great light display that he was invited to appear on The Great Christmas Light Fight on ABC. His love of holiday lights started with him and his father decorating for Christmas, and so today, he carries on setting up and growing this project in his father's memory. Meet Dan and check out his wild lights! Open since the 50s, DiDonato's is a year-round attraction. On a regular day, it's a bowling alley and blacklight lit mini golf course, but during the holiday it adds "magical Christmas village" to its list. Here is a taste of the holiday magic! If you are feeling a little jealous, it's normal. Feel free to call up your local bowling alley and let them know you're disappointed in their lack of Christmas cheer. Yes, first and foremost it's the Christmas light stop with the cutest name, "The Twinkling House." Aweee. And secondly, its a really well coordinated light display set to really fun music. Keeping up with the times, the house twinkled along to Disney, Frozen's "Let it Go" in 2014. As if the song didn't give you goosebumps already (admit it), this production in lights is quite moving! The house actually has it's own YouTube, in case you needed to see even more! A full section of 34th Street in Baltimore, Maryland is decked out in Christmas lights as a nod, of course, to the movie. But it has it's own little miracles too. Just watch below and feel free to sing along. When the Oglebay's light festival started it was only 3 miles long. Today, it has doubled in size to 6 miles long and adds new displays every year! When you're rolling along at an observant pace in your car, it can take almost an hour to take it all in. If you have ever been to Busch Gardens Williamsburg in Virginia then you know its already a beautifully landscaped park. Flowerbeds, bridges, pathways, animal habitats and more are attractions there any time of the year. But during the holiday season, the park's "Christmas Town" transformation is truly awe-inspiring. Ther are over 8 Million lights in the park! You may already know the park is split into sections, Ireland, Scottland, and Germany to name a few. They continue this by decorating each area in the park a little differently, which keeps things interesting your whole walkthrough! You can check it out here on our tour of course, but this one might be worth a trip. This is actually McAdenville, NC. But during the holiday season, it's known as Christmas Town, USA. 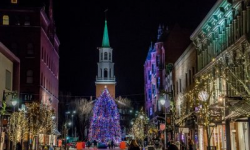 Everyone in town gets involved in putting on a holiday light show that transports you from the real world to a festive, sparkling Christmas wonderland. Formerly knows as "Greenville Griswold" and located at 11 Ridgewood Drive, Greenville, SC, The Passion of the Lights has relocated to The Edge Community Church in Greenville, SC. But it's still the same amazing show! Passionate, bright, and at times comical, this display spreads Christmas cheer. Atlanta Botanical Gardens transform into a high-tech light show for the holidays. Thousands of strands of dancing lights make the garden a mesmerizing place to walk. You can view featured displays such as the Walk of Flames and Tunnel of Light, the Orchestral Orbs, Glittering Galaxy, Radiant Rainforest, and Model Trains. Birmingham Zoo Lights up during the holidays to create a wild Christmas light adventure. Dolphins and flamingos meet candy canes and gingerbread men in a light display like you won't see anywhere else. Ride the Candy Cane Train with us to experience part of the adventure. Boasting the World's Largest Holiday Theme Park, which features over 100 rides, shows, games and attractions, Mami make for a worthy last stop on our US Christmas light tour! Millions of lights, displays, food, shows, and more ensure you will have a very merry time at this stop. Located in Tropical Park, 7900 SW 40th St, Miami, FL. 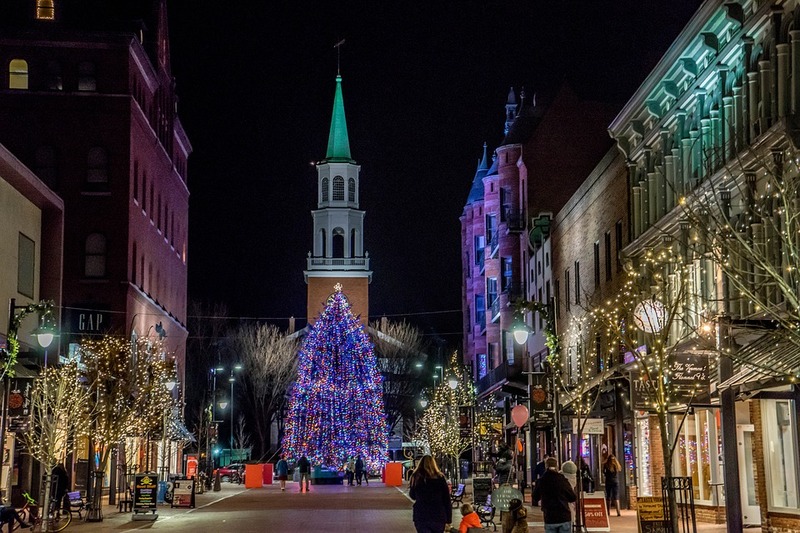 We hope you've enjoyed out light tour of the USA and that you've found inspiration in the dedication of individuals and establishments from all over the country to make Christmas a truly spectacular time of the year. Let us know if you visit or have visited any of these wonderful displays, plus, feel free to share your own with us! Merry Christmas and happy lighting!